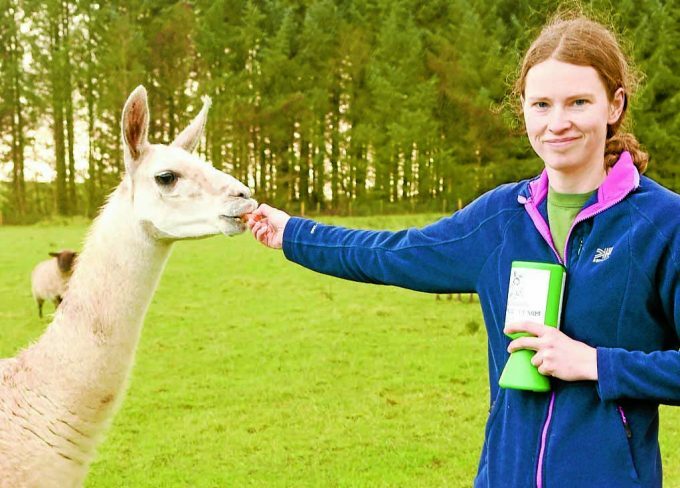 Yard manager Siobhan Webster, who is pictured alongside Melvin the llama, said: “We don’t like to do these appeals often but we would really appreciate some help with funding our hay and haylage deliveries to keep our animals happy over the next few months. “We will soon take delivery of another 40 large haylage bales at a cost of £800, £20 per bale, and we are using four to five bales of hay per day.” She added: “Our yearly running costs are roughly £60,000. We often have to turn animals away because we are full, especially during winter when we need to consider the needs and increased costs of our existing animals first. To help send donations via PayPal to [email protected] hotmail.com, visit www.mossburn. org or pop into the farm.